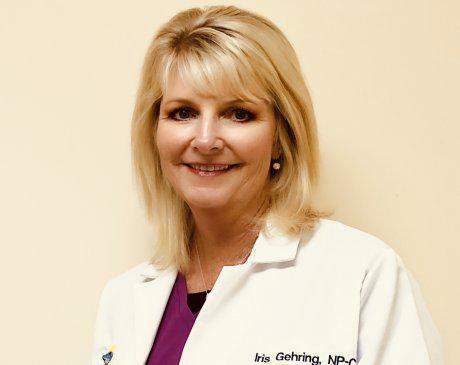 Iris Gehring is a nationally board certified Family Nurse Practitioner by the American Association of Nurse Practitioners. She provides first-rate medical skin care services to patients of all ages at Easton Dermatology Associates, a renowned dermatology practice serving residents on the Delmarva Peninsula. Her practice includes treating common skin conditions including acne, rosacea, eczema, atopic dermatitis and seborrheic dermatitis taking special interest in skin cancer screenings and prevention. 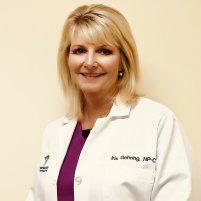 Iris earned a Bachelor of Science in Nursing from Salisbury University in 1992 and worked in emergency nursing for 27 years. She received her Master of Science in Nursing degree from Wilmington University in 2018. She is a member of the National Society of Dermatology Nurse Practitioners and the American Association of Nurse Practitioners. Iris is a long-time resident of the Eastern Shore, growing up in Secretary, Maryland and currently resides in Nanticoke, Maryland. In her time away from the office, she enjoys going to the beach, fishing, crabbing, gardening and spending time with family and friends.